One warm morning, I was walking down the middle of a street in Bucharest feeling overwhelmed by all the topics I could select for this “Letter from Romania” when it suddenly occurred to me that I no longer find it unusual to be walking down the middle of a street in Bucharest. 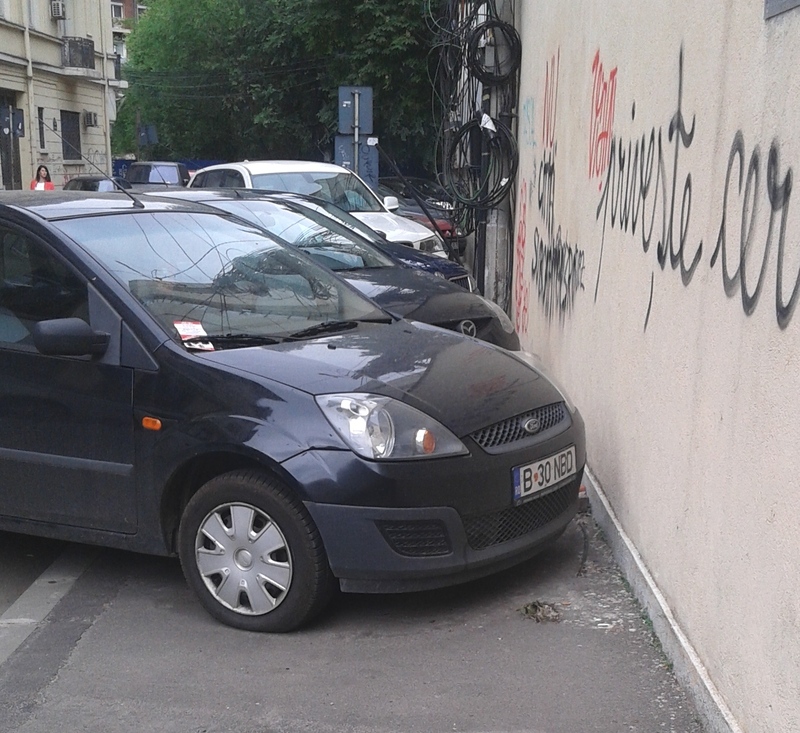 This, I realized, was because I no longer find it unusual that th e reason I am walking down the middle of a street in Bucharest is that the sidewalks (where, if memory serves, I should be walking) are impossibly and impassably filled with cars parked in every sort of position and angle. In fact, as I thought about it more, what feels odd to me now is walking down sidewalks where these companions are missing. Sidewalks without cars now feel deserted somehow, a bit lonely even, as if I’ve been left all alone while the cars up and left and went on vacation. This is, perhaps, the best example I can give of what happens to you when you live for a while in Romania. The strange, the ludicrous, the illogical, the frustrating, so much of the otherworldly you encounter when you get here, becomes over time the norm and the expected. You hear much about contrasts in this beautiful country and being startled by those contrasts is something that never ceases to occur. But stay here long enough and the American idea that daily activities have a structure and are supposed to make sense will slowly disintegrate and disappear without warning. I have been here six years. And being a writer, teacher, lecturer and consultant, I try to observe as much as possible about daily life in this country with its politics and business as I strive to fathom why things here are the way that they are. Yet the longer I’m here, the more it becomes clear that no one understands, not fully, not convincingly, not with definite conclusion. Whether authored by Romanians or the wonderstruck foreigner, books are continually being published that try to explain how and why Romanians are, well, so Romanian. Yet to make sense of this all – to make sense of Romania – is like jumbling the pieces of five giant puzzles together in a pile and then being asked to put them together before someone comes along and changes them again. Then while you struggle with the puzzles and you despair over pieces, you inadvertently over time find that you’ve come to accept that you might never understand and you slowly start to wonder whether that matters at all. Instead, you relish the fact that there is never a shortage of rich and telling examples of this country’s charm and beauty, its poverty and sadness, its successes and failures. These examples are seen in the beautifully restored Baroque mansions of Bucharest next to the ones decrepit and crumbling whose unresolved ownership after the communist rule is still being disputed. The examples are seen in the rich corporate farmlands, glowing with sunflowers or blanketed by soybeans, and the fields nearby being tilled by villagers with a horse and wooden carts. The examples are seen on TV as Romania becomes an increasingly important player in international politics and multinational business while prosecutors here send many of the country’s top government officials and business executives to prison for years. And what you learn is that you walk down the center of city streets and you marvel at grapevines hanging heavy over driveways, and you come to expect every cafe to have a terrace in front or in back, and you marvel at the cherry and small plum trees growing free food in the park, and you know you’ll be tempted by all the bakery’s small windows selling pastries along each street. So except for close family and some food here and there, one day you realize there is little you miss in the country that you’re from, and you’ve given up completely the idea that, as we mentioned before, all activities are to be structured and are meant always to make sense. I suppose it is this odd breath of freedom, perpetuated and protected by the ingenuity of Romanians who have perfected survival despite centuries of being repeatedly conquered, that keeps so many expats here years beyond their original plan. Because there is an addictive nature to the creativity and fundamental hope that people here have, despite their often-voiced pessimism, that studying and working and trying and pushing might someday pay off. Of course, much of the battle here still being waged continues to be brought by necessity, no longer forced by the tyranny that dominated much of the last century, but by today’s inefficiencies and a dysfunctional bureaucracy that serves to frustrate and confound. 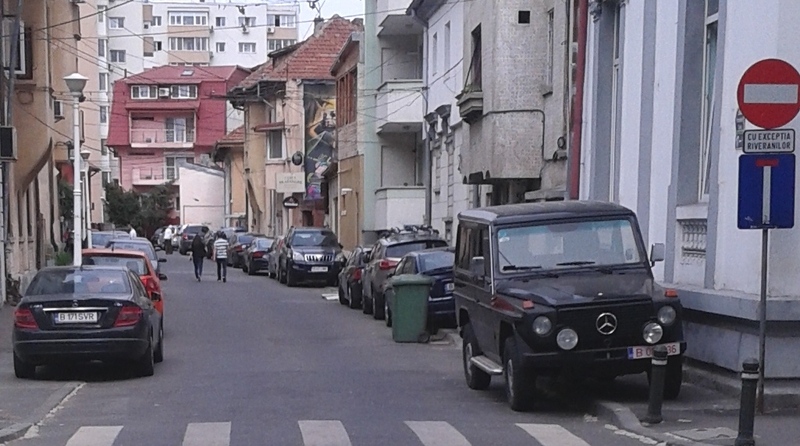 But much of the energy is also directed at creating and succeeding at new opportunities that Romanians here can now see in the world, a world of which the country is now solidly a member, even if all the rules (about parking) have not yet arrived.